Do your clients forget to do their homework? Forgotten homework is one of the biggest issues that we hear about when it comes to homework compliance. We’ve improved push notifications in the mobile client app to assure that clients are notified when they receive an activity or direct message. 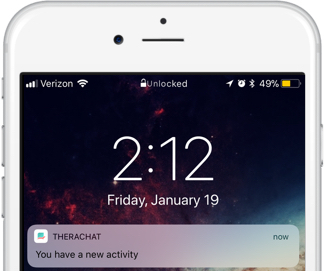 Your clients will get a push notification each time a new activity or message arrives, even if they have done that activity before. We optimized our system so that activities would load faster. Both new activities and results should show up immediately for both you and your clients. Connecting your clients to you and your dashboard is an important first step. We’ve made it easier for clients to understand how the client app works and sign up with the correct email. 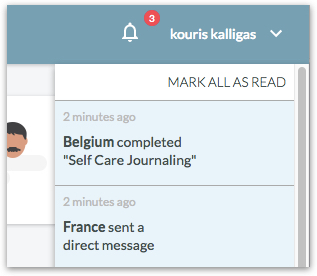 When a client sends you a message or finishes an activity, you’ll get an email notification. Click the button in this email to see the activity or message. 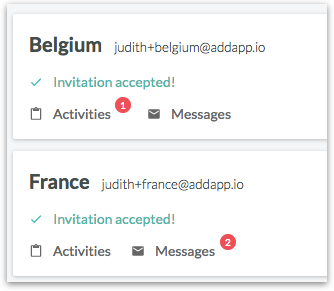 When viewing your list of clients, you will now see who has completed activities or sent you messages. In the right upper corner of your dashboard, you’ll notice a bell that will show you everything that has changed since your last visit. You can click these updates to be taken to their corresponding message or activity. When viewing your client’s profile, you can now see which activities they’ve finished. One of the reasons we started Therachat was to help therapists provide the best possible care using a data-driven approach. After analyzing feedback data from clients, we removed 5 pre-made assignments out of the library that were not being found to be helpful. You can read about the activities we deprecated here and find out what to do if you had those activities assigned to your clients. To increase the protection of your clients’ information, we now log you out of your dashboard automatically after 30 minutes of inactivity. Want some guidance on how to talk to clients about what Therachat is and how it will benefit them? We’ve created a Get Started Guide for Clients that you can pass along to your clients and a Get Started Guide for Therapists to help you out along the way. 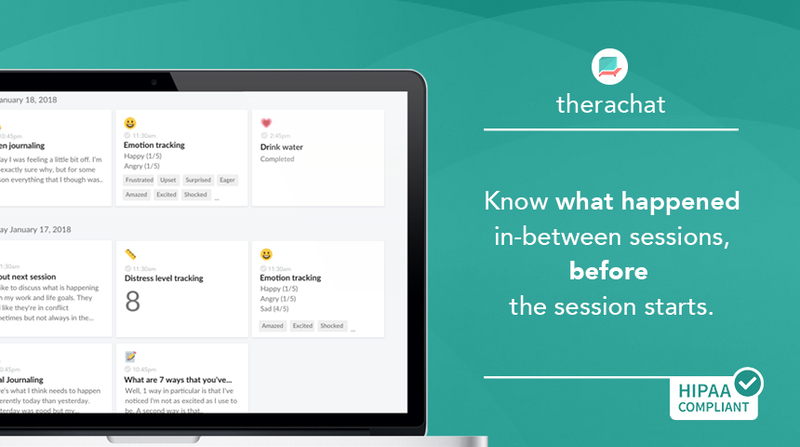 Would you like to hear how other clinicians and counselors use Therachat? Do you want to give input on what we should work on next? Join our Facebook community and connect with dozens of other therapists that are looking for ways to keep their clients engaged in therapy.